If you own a fiberglass boat you have a million and one waxes, polishes, and protectants to choose from, but what sort of protectant are you supposed to use on your aluminum boat? Whether you have a hunting skiff or a pontoon boat, finding good cleaners and protectants isn’t nearly as easy. 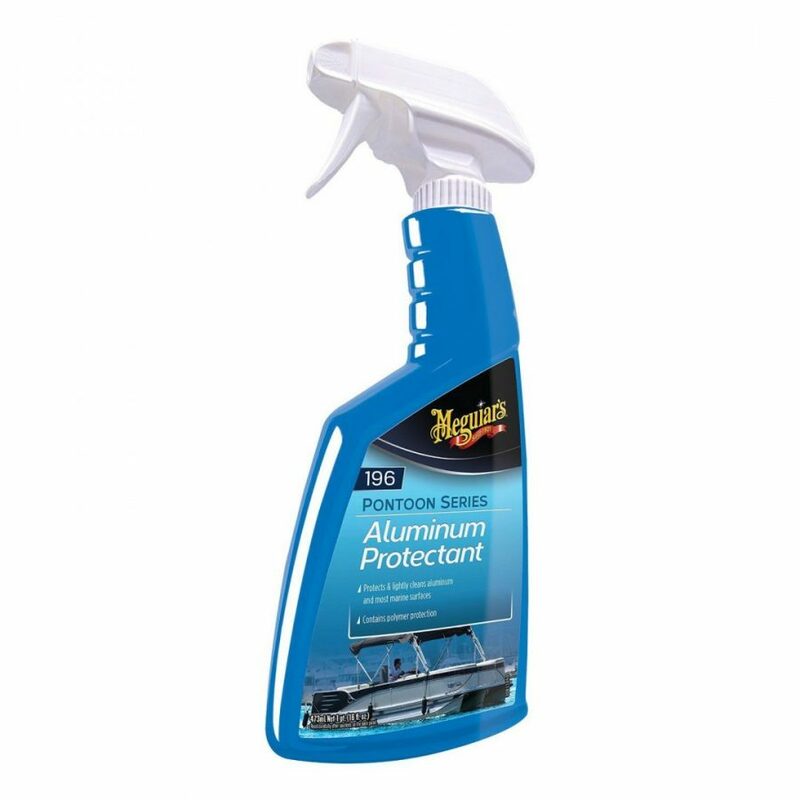 Now, however, we have Meguiar’s Aluminum Protectant specifically made for aluminum boats and pontoons. This stuff is essentially a polymer coating, which seals out moisture and helps prevent corrosion. Meguiar’s has also come out with an Aluminum Cleaner, which is designed to remove waterlines, lime deposits, and oxidation. Both are wipe-on, wipe-off easy to use. I was pretty psyched to hear about these products, simply because aluminum, especially the bare aluminum on pontoon boat logs, gets pretty cruddy looking pretty quickly. And there just aren’t a whole heck of a lot of products out there designed for cleaning and protecting aluminum boats. So, does this stuff work? Yup. I don’t own a pontoon boat myself, so I visited a friend who has a 24-footer that lives on a lift, surrounded by saltwater. Basically (sorry, bud) the boat looks awful. The cleaner did a good job of removing most of the gunk and staining (though some years-old marks remained behind) and the protectant sealed the deal. This stuff goes for about what you’d expect; the average price is around $15 for 32 ounces. It should last a long time, though, because we didn’t make too much of a dent in the bottle by cleaning up his pontoon boat. So if you’re sick and tired of looking at dirty aluminum give this stuff a shot. Check it out, at Meguiar’s.